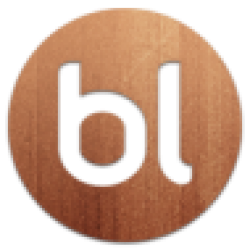 We're making organizing your books and writing reviews easier and faster. Today's Thursday release includes several updates concerning exclusive statuses, your reviews and reblogs. Form now on you can change existing thematic shelf into exclusive status. Then the books will be shelved only with this exclusive status (former shelf) and any other default status (read, planning to read, currently reading) will be removed. This means that you don't have to manually reset the default statuses, it will be done automatically. To Change the existing thematic shelf into exclusive status, point on the shelf name and click the icon . This change works in both ways. This means that you can make new status (former shelf) a thematic shelf again. However, the default statuses will not be brought back. Be careful and double check that you really want to change the chosen shelf into exclusive status and reset default statuses. 1. Just create new status (click +add exclusive status, type name and Enter). 2. Search for a book in search box on the top, click on it and select "Add to bookshelf" in book pop up. 3. Select new status in Edit Statuses sector and Save. 2. Click on the book on your Shelf. 3. Edit your statuses and select the one that fits you. 4. Click on the default status. 5. 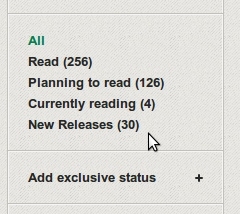 Click on the green default status on tab in book pop up - it will go white (deactivated). Below are screens that show how it looks like in the pop up. Thematic shelves help you to organize your books and keep those from the same series, author, genre together. To add new thematic shelves: click +Add new Shelf, type name and hit Enter. 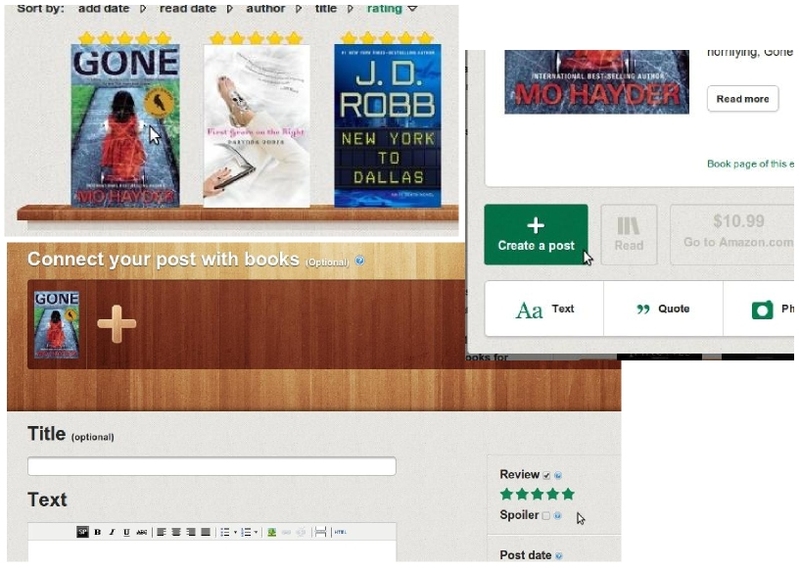 Then click on book on your Shelf and Edit shelves in book pop up. Remember to Save. You can also rename and remove thematic shelves. Hover over the Shelf name and you'll see two icons: "x" and little pencil. When you click on a pencil, you'll be able to edit shelf's name and if you select 'x', you'll delete the shelf. Your books will not be deleted, the books will stay on your Shelf page with default status but not on the thematic shelf (it will be gone). - Add to Shelves: You can select several books and add them to a given thematic shelf or change status. 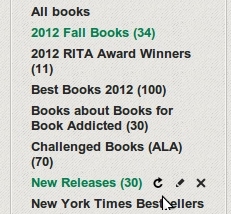 - Sort by: You can sort by author, title, add date, read date, ratings and cover to add missing cover images. 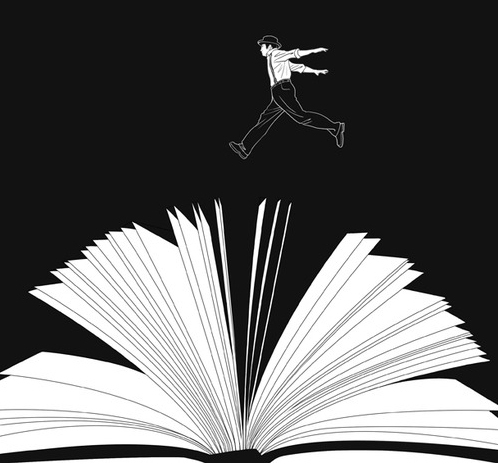 - Remove selected: You can delete several books from your shelf, they will be removed from your shelf page permanently. 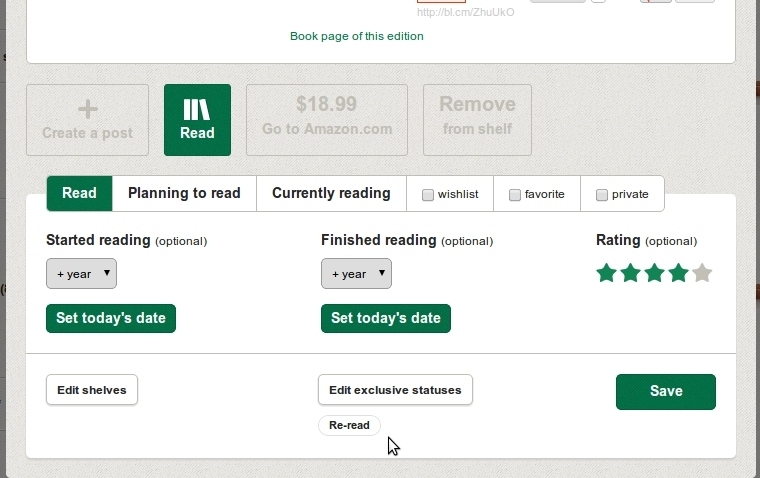 - Add: you can add ratings, shelves to single book, read date, review. NEW: You can Go from your Shelf straight into Review writing mode. Now when you want to create a review straight from your Shelf, the rating stars marked on your Shelf will be auto-transferred to your writing mode and the text will be automatically marked as a Review. You can uncheck the review marker and change ratings any time in the writing mode. We made reblogs more transparent. From now on every time you reblog a given post (review, text, photo, quote, URL, video) an information about it and a link to original author of the post will be given on the top.